Konijeti Rosaiah. He is the senior most congress leader and is considered a legend within the party. Known for his vast political experience, non-controversial nature and quick wit, his handling of the opposition parties during the assembly sessions was amazing. He has introduced budget 15 times in the state assembly when working in the capacity of a finance minister. He is the current chief minister of Andhra Pradesh. But sadly, his reign as CM has been a major blemish on his political career and has shaken Andhra Pradesh’s politics to its core. After the untimely death of YSR, Rosaiah was appointed the interim chief minister. During this time, Y.S. Jagan’s supporters demanded the CM’s post for Jagan and made Rosaiah’s life difficult by not co-operating in the cabinet. But eventually this was taken care of by the congress high command for Rosaiah. The high command snubbed Jagan’s request and made Rosaiah the chief minister. Since his appointment was not discussed within the APCC, he was not treated and respected as a CM. Had a discussion took place, his name would not even have come up. Within weeks, Rosaiah lost control over his cabinet ministers and state administration. His predecessor, Y S Rajashekar Reddy, had impeccable control and was able to command respect from all the people in his administration. Ofcourse, YSR had a history of faction politics and had his own ways of dealing with unrest in the administration. But Rosaiah has been and continues to look towards the high command’s approval for every minor decision. 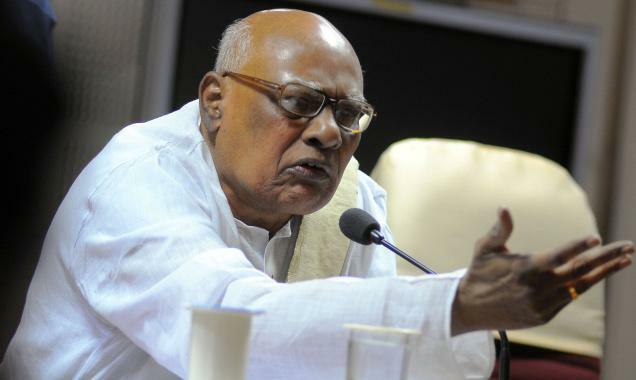 He couldn’t even confront Komatireddy Venkat Reddy when he alleged that Rosaiah was behaving as the CM for Andhra region only. Instead, he complained about him to the high command. He even requested permission from the center to hike APSRTC rates, something which should have been entirely taken care of by the state government itself. He either always needs someone to guide him or he does not want to be held accountable for any decisions being made. The biggest blemish on his political career would undoubtedly be the Telangana agitation started by the TRS party during his reign as chief minister. The TRS party was born for the sole purpose of dividing the state of Andhra Pradesh. But the party failed to gain mileage during the reign of N. Chandrababu Naidu and Y S Rajashekar Reddy. However, within three months of Rosaiah becoming the CM, the TRS party was able to start the Telangana agitation and blow it out of proportion with the help of other political elements. Anti-social elements have, so far, made big bucks out of it. Rosaiah did nothing to curb the agitation or the anti-social elements associated with it and let the Telangana agitation precipitate to its current state. Due to his nonchalance and inability, his much acclaimed witty answers to the media have also lost their charm. As the state burns, he still looks towards the high command for a solution. If Andhra Pradesh is indeed divided during Rosaiah’s reign, he would go down in history as the most inept leader who was just a bystander when the state was being divided. The question is not what should Rosaiah do now. But rather what should he have done which would have averted the current situation. Decision making and foresight are the qualities of a good politician and a great leader. These are the qualities that made CBN and YSR famous. YSR had the foresight and was able to control the T-movement for 5 years. Within 3 months after his death, Rosaiah “let it” explode. I am not really sure whose decision of arrest KCR when he called for hunger strike .. that has turned into current situation in Andhra predesh.. If he(Rosaiah ) would let KCR to do strike.. then KCR might have done for 2 to 3 days and then called off strike him self.. we know about KCR.. then people wouldn’t have reacted the way they reacted by seeing him on the tv drinking juice..at hospital..
Rosaiah did his best in each stage.. but he couldn’t be able to use his powers utmost.. due to his MLA’s and MPs are also part of these agitations..
Also we should understand Rosaiah is a “Sattakalapu Manishi”.. He is not young energetic and dynamic person to control the situation like YSR and Naidu .. More over I would say YSR the way he managed people and the implemented the “padhakalu” gave him the full boost. Any Legend cont do any thing in this present Andhra political situation. I wont agree that he is a failed CM . I agree with Sreenivas… He didn’t fail. He know his limits and current situation in andhra predesh. More over he is not directly elected.. So he is doing at his best..
its a god gift given to him all of sudden..
Who know if he would have selected by all the people and the MLA’s.. his strategy might be different.